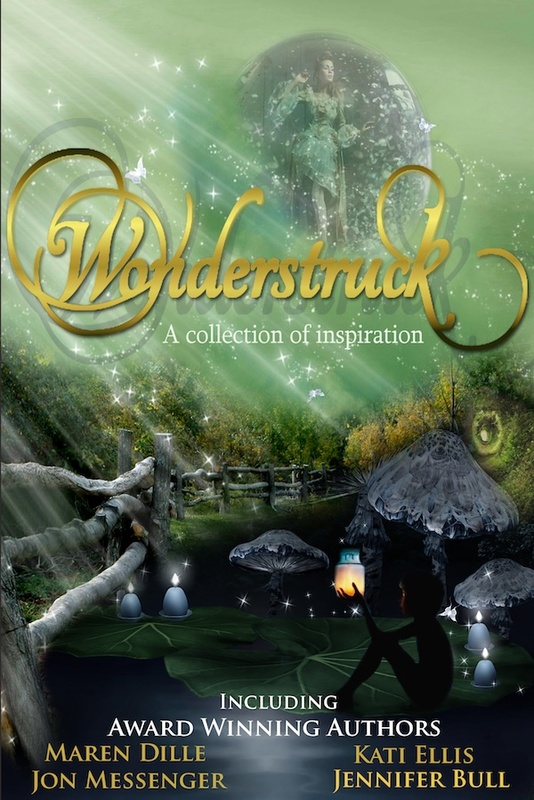 Author Sherry Gammon : Wonderstruck Anthology!! 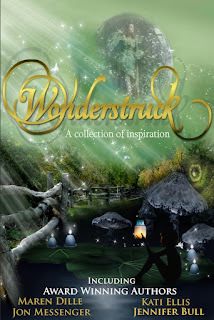 Wonderstruck Anthology is now available! Get Wonderstruck TODAY from Amazon! Dive into a world where wind is a power that feeds the flames and love makes everything more complicated. A life where a scorned bride can cause a great deal of trouble and a place where silence as you will find out has a lot to say. Find yourself in a future where a powerful enemy can only be stopped by the most dangerous weapon of all: the truth. All of this and more lies within these very pages... Are you ready? The sleepy town of White Halls harbors a dangerous secret. On a picturesque street, two houses down from a lovely little park, in a quaint little home with a wraparound porch, lives a family that seems rather normal. Sure, their twenty year old son, Xander, still lives at home, but he's going to college and dating the leader of the schools top sorority. It's all very... normal. However, when a man is miraculously saved from being hit by a bus, Xander's life turns in to the living embodiment of the tornadoes he can suddenly create with a flick of his wrist. Whether he wants this gift or not, Xander must learn to use his new 'super power' quickly if he wants to survive. For his kind is a dying race, and when this sleepy town has a sudden influx of new, blonde, fire wielders, no one is safe, especially Xander. It doesn't help that one of these blondes happens to be the most beautiful girl he has ever seen. Xander can't deny the instant connection he feels to her so, when she tries to kill him, it certainly makes things complicated. In Oafish Me, teenager, Misty, considers herself a social outcast—an oaf—as her classmates remind her every opportunity they get. When Drake, a charismatic and gorgeous new student, stays by her side through their constant ridicule, she discovers she not only longs for a friendship with him but for the first time, a relationship. With her raw emotions on the line, she accepts his invitation to go out but when he takes her to a secluded wooded area, she starts to question if he is her knight in shining armor or her worst enemy. London in the late 1800's is a dirty, chaotic, and above all, loud place embroiled in a scientific war with neighboring France as each strives to outdo each other with technological wonders. A young married pair of university professionals finds themselves at odds over the benefits of this war: Nigel only wants to see England prevail – preferably through his own inventions – whereas his wife, Christine, dreams of quiet and a natural world that she has only seen in storybooks. Enter a street-side vendor offering “Peace In A Bottle”; this might be the answer to Christine's greatest desires, but it could be the beginning of Nigel's worst nightmare. Vivian Fletcher has a gift that’s given her a special place in the kingdom—the King’s personal executioner. Everything and everyone she touches dies. When she finds out that the world she’s living in is full of lies and turmoil, she’ll have to accept her gift and use it to right the wrongs. Tabitha and Carter are a little too daring when they run through a tunnel to investigate the mysterious music they heard while running through the woods. The cave is well lit, and the dance looks fun, but they can't seem to stop. It started out just like any normal day for high school Plain Jane Skye Salisbury until tragedy strikes her school and out of nowhere, a glimmering hole appeared. The question on everyone's minds is—what lies at the bottom? Will it be another world or a different dimension? What would you do if you could see magical creatures from the early age of five? Well, for seventeen-year-old Tasha it gets pretty difficult when a fairy prince named Thomas appears with news that will change her life forever. But with the help of her best friend and pixie, Seamus, Tasha will find her place in a world so unlike hers. Will she rise to the occasion and become who she was destined to be? She looked at the picture she’d painted many years ago. It was a magical place—a place inspired by her dreams. Though, tonight it almost seemed... alive, as if it were calling to her. Phrase for today: Prepare to be Wonderstruck!